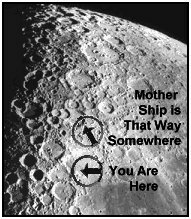 You're a member of a space crew originally scheduled to rendezvous with the mother ship on the lighted surface of the moon. Due to mechanical difficulties, however, your spaceship was forced to land some 200 kilometers from the rendezvous point. During re-entry and landing, most of your ship's on-board equipment was damaged. Your survival depends on reaching the mother ship. You must chose the items most critical to successfully reaching the mother ship 200 kilometers away. There are only 15 items left intact and undamaged after landing. Your task is to rank-order them according to their importance in allowing your crew to reach the rendezvous point. Place the number 1 by the most important item, the number 2 by the second most important, and so on through to number 15, the least important. The worksheet with the list of items is on the following page. You may wish to copy off this page for group discussion. Once you have completed columns A and B, refer to the debriefing at the bottom of the worksheet to complete your scoring and determine what it means. Once you have completed columns A and B, refer to the debriefing to complete your scoring and determine what it means. Use the NASA Moonwalk sheet included in this section to complete column C of your worksheet. Then calculate your individual score (Column C - Column B) and your team score (Column C - Column B). Use only positive numbers. For example, if column C = 10, and column A = 13, enter 3. Almost inevitably, the team score will be better (lower) than the individual score. On the odd occasion that this is not so, it generally indicates poor group dynamics: the group did not function well enough to recognize the knowledge of the individual who scored better than the group.